Grand Epic Online (GEO) Philippines has reached a new milestone for the pinoy gamers by jumping to open beta state. Now everyone has access to the game and enjoy the fun the game is giving. GEO PH is a browser-based game much like most of the games you played at Facebook such as CityVille. June 15, 2011. Grand Epic Online PH was launched for Open Beta. 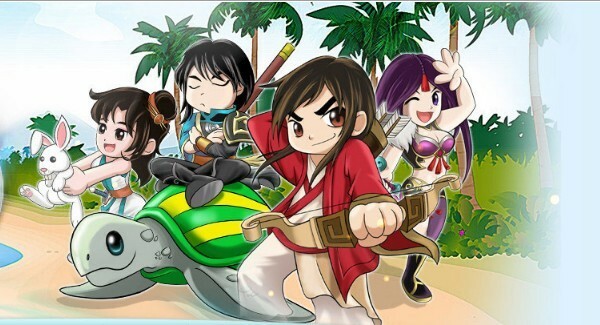 This 2.5D MMORPG browser game will now deliver the best gaming experience through its unprecedented features such as quest auto-navigation, pet raising, mounting system, polymorphic transformation and many more.This enjoyable journey will allow you to seek the best for yourselves. Special in-game events is already prepared for players! Join our Facebook fanpage at http://www.facebook.com/ph.geo for more fun and excitement!